It seems that lately April is self identifying as January and day after day of rather cool and wet weather has followed one after the other. Sometimes weather like that can produce nice photo opportunities and some days it tends to keep one indoors. Today I found myself indoors. Cup of coffee, the music from the Peer Gynt ballet on the stereo and doing a bit of house cleaning – perhaps that will help bring on real Spring. I have this basket on one of my bookcases that I purchased a number of years ago – just liked the hand woven rustic nature of it. 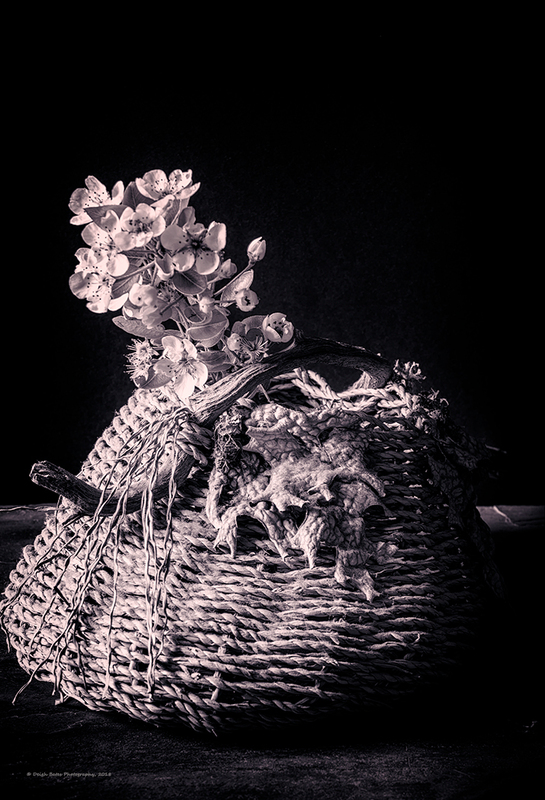 The pear tree in my back yard is in bloom so I just concocted a still life – the basket with a branch of the blooming pear tree. This is a 5 shot stacked image and I did tone it a bit. Kept me entertained this morning and I have a great book in the works right now for the afternoon. 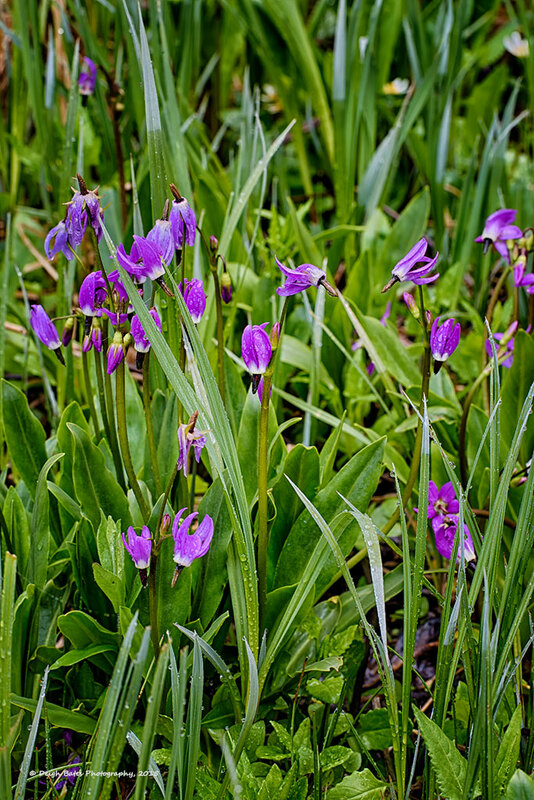 Hoping for sunshine tomorrow which will prompt an evening trip to the West Eugene wetlands to photograph the Camas lily. Comments, as usual are always welcome. 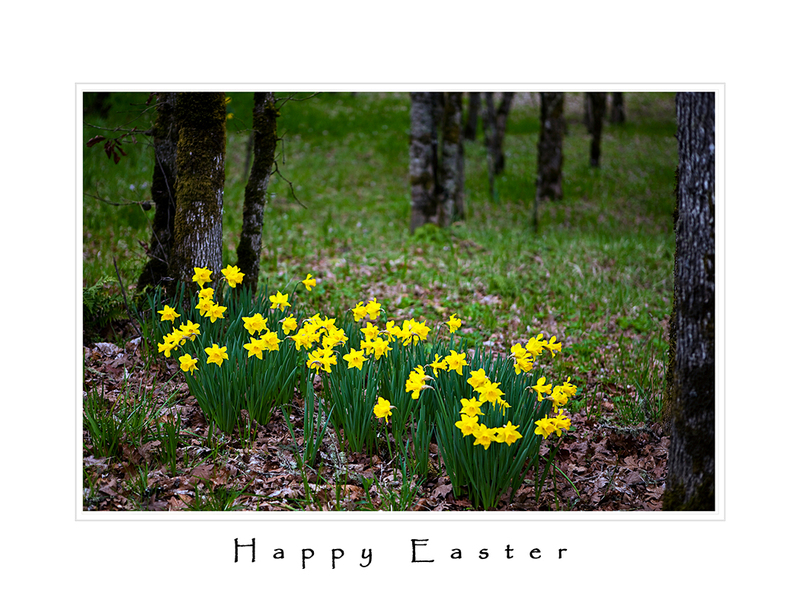 A little image that to me shows the beauty of Spring on this Easter weekend. Over dinner in Burns, OR one evening I was reading an article about all of the tourist things that there are to see and experience in Harney County. The authors noted that if you wanted to see the sites you should be prepared to do a lot of driving. True enough. One does not want to leave Burns without a full tank of gas and while there are a few other spots on the back roads to fill up in case of need the establishments think highly of their product – be prepared. One of the nice things about traveling across the desert and over the mountains are what I have come to call roadside bouquets. The first image is far from the desert. 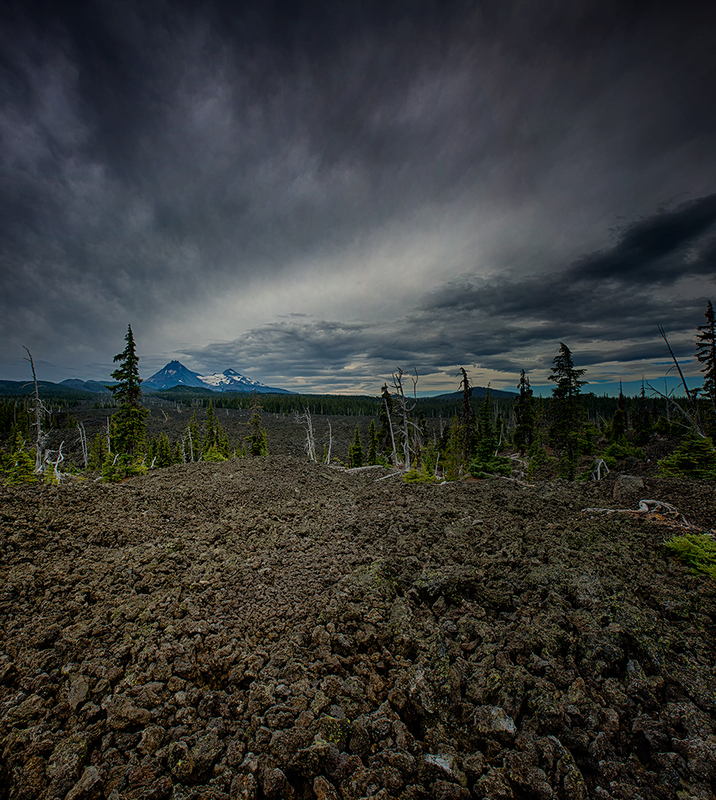 It was taken near the top of Santiam Pass at a spot I have been aware of and shot for some time and have never really scored a ‘good’ photograph. 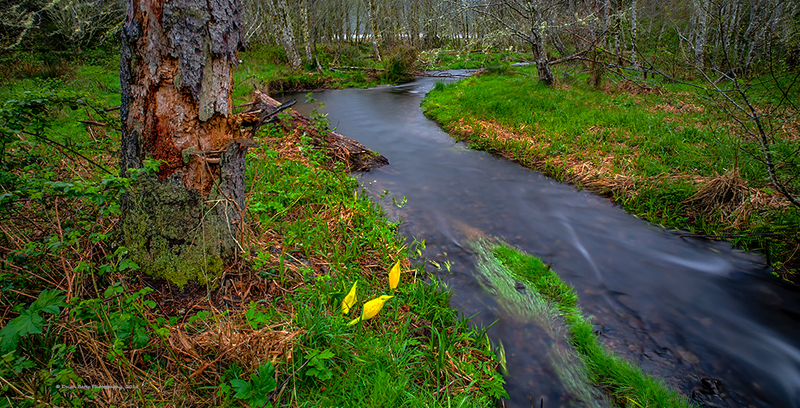 Shot this one on Friday morning on my return to Eugene – overcast, soft light and no wind. Driving across the desert, especially in the autumn, the rabbit brush and the bitter brush are all in bloom – yellows of various shades against the gray/green of the sage and the dead stalks of plants at the end of summer. I found this small bouquet along the road between The Narrows and Frenchglen. Rain had brightened the scene and really made for nice contrast. Now to find some autumn color a bit closer to home – Eugene color is starting to come on. As always click for a larger view and thanks for looking and reading. 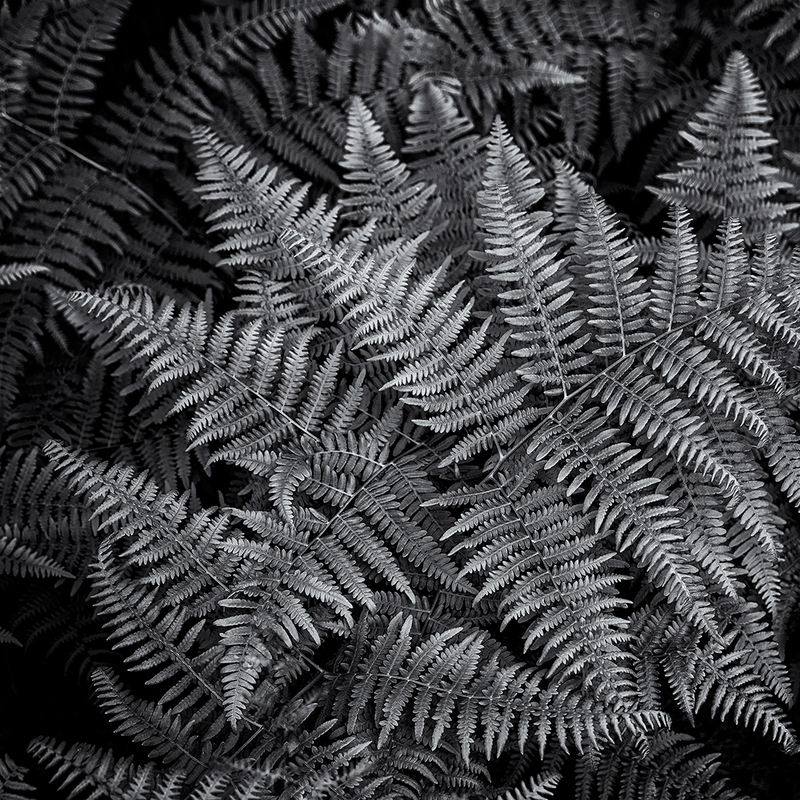 I posted on Facebook yesterday a color image of ferns that I found while out for a walk. I liked it but went back and revisited the image and converted it to Black and White. I like it even more. The following is from my Artist Statement that I use in shows and exhibits so some of you may have seen/read this but I think it really applies to this image. I have been delving more and more into Black and White photography. Focusing on textures and patterns has allowed me to recognize the simple beauty contained in the natural world. By using Black and White for a lot of my current images I want to give the viewers a chance to experience the symmetry of the images without the distraction that color can sometimes inject. 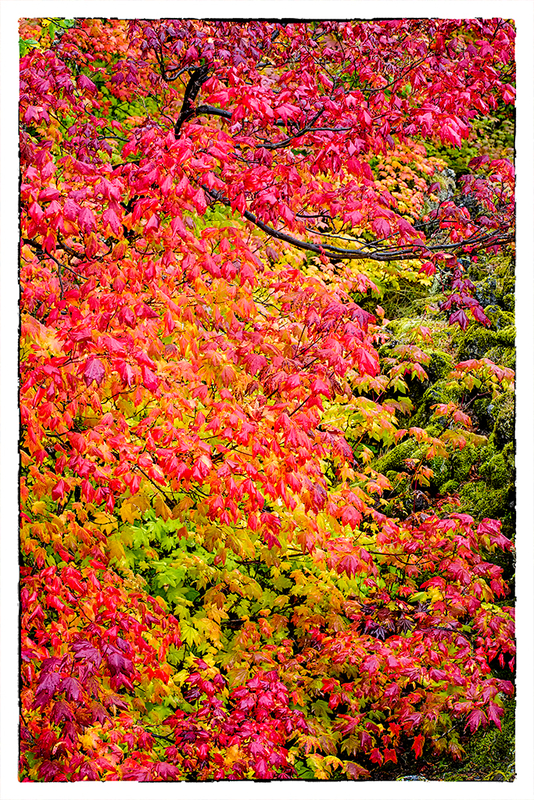 Nothing wrong with color – works for many of my images – but sometimes I think it gets in the way of experiencing the subject in an elemental way. Thanks for looking and reading. Click on the image for a larger view. After almost nine weeks with no rain it felt great yesterday when cool marine air filled the valley – no real rain yet but the promise is in the forecast for later in the week and I am so looking forward to it. With a sky filled with clouds Dave and I headed up McKenzie Pass yesterday morning hoping the clouds would break and unveil the 3-Sisters. Before that I took the opportunity to stop near MP39 along the highway to shoot an area I have driven by and noticed so many times. Went down a steep and rocky cutbank to photograph the scene below. 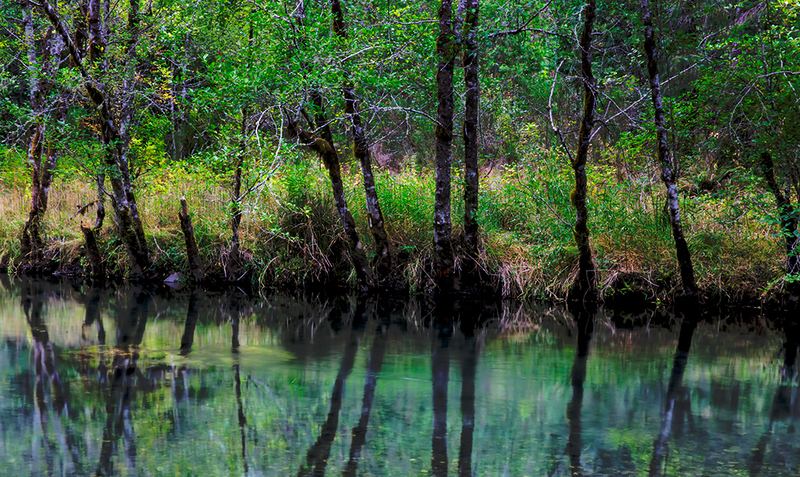 Alders reflected in the slow smooth waters of a side channel. We are both thinking that with autumn color this area should be even more lovely. After a rocky scramble combined with a spill coming back up the bank we loaded the car and headed for Scott Lake that according to plan was to be our first stop. We made our way toward the lake and campground over a potholed and dusty road to find a very full parking lot but optimistically packed up the camera gear and headed for the a lake shore. On the way down the trail I noticed some late blooming flowers that seemed to make a nice mountain bouquet. After a few shots of the mountains, still wrapped in clouds I went back to visit these blooms. After spending some time composing the above shot I wandered back to the edge of the lake and found a stack of logs that ran out into the water and made my way out to capture the following image. The clouds were breaking up a bit and starting to get some character. Gave us hope for the rest of the day. We did make a stop at a small lake along the road, Craig Lake, and thought about the first time we had photographed it along with Paula Goodbar. Perhaps another autumn trip – mid to late October. I still have some images to work on from this stop so perhaps a future post. 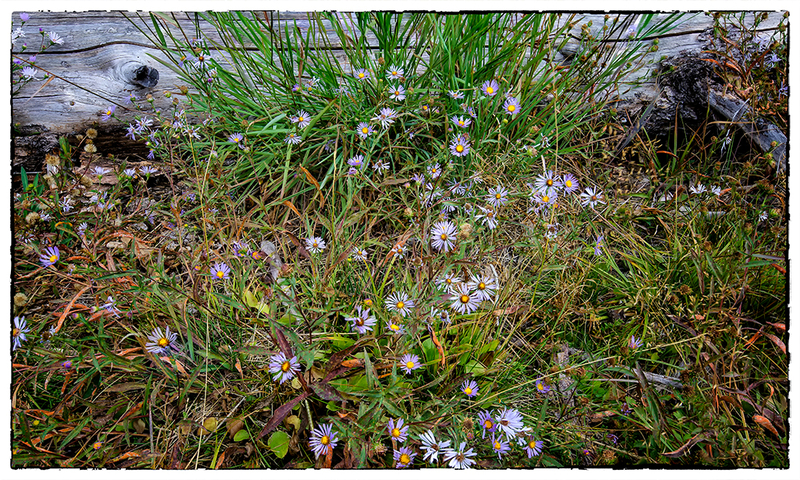 We went to the top of the pass – Dee Wright Observatory – walked bit of the PCT in the lava fields – hard on the feet and ankles and took many shots. I have a series of images that I will hopefully be able to work into a panorama. On the way down the pass we noticed the clouds breaking up and really gaining some character and another stop was called for. This was the last shot of the trip for me. As usual if you click on the image you can get a larger view on your screen. Also comments are more than welcome. Went over to Hendricks Park this morning after I did my ‘chores’ just to take a bit of a contemplative walk on my birthday. Not much going on in the park – mostly just green vegetation waiting for the color season. I have ID’d myself in the past as an introvert, for me meaning that I recharge my spirit by being alone and quiet. Such was the reason behind my solitary walk this morning. A couple of grounds keepers were about clipping and manicuring but for the most part I had the place to myself. 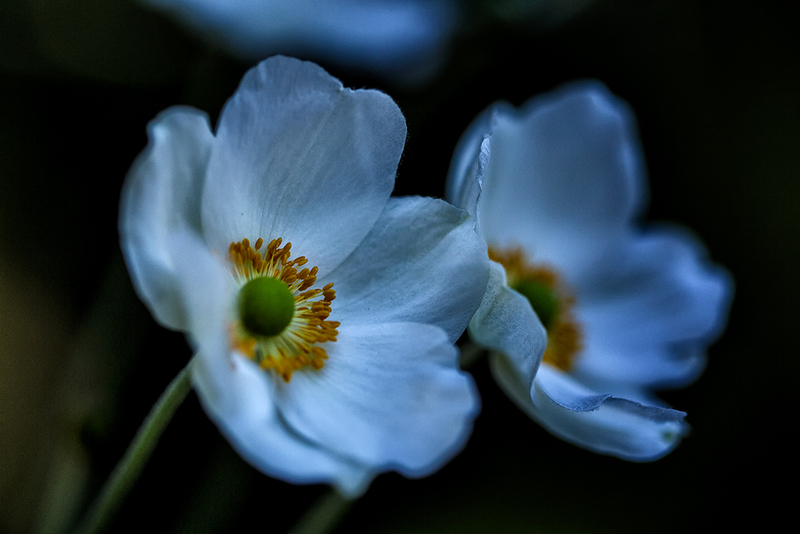 There were a few small white blooms punctuating the green so I attempted to get a few shots. 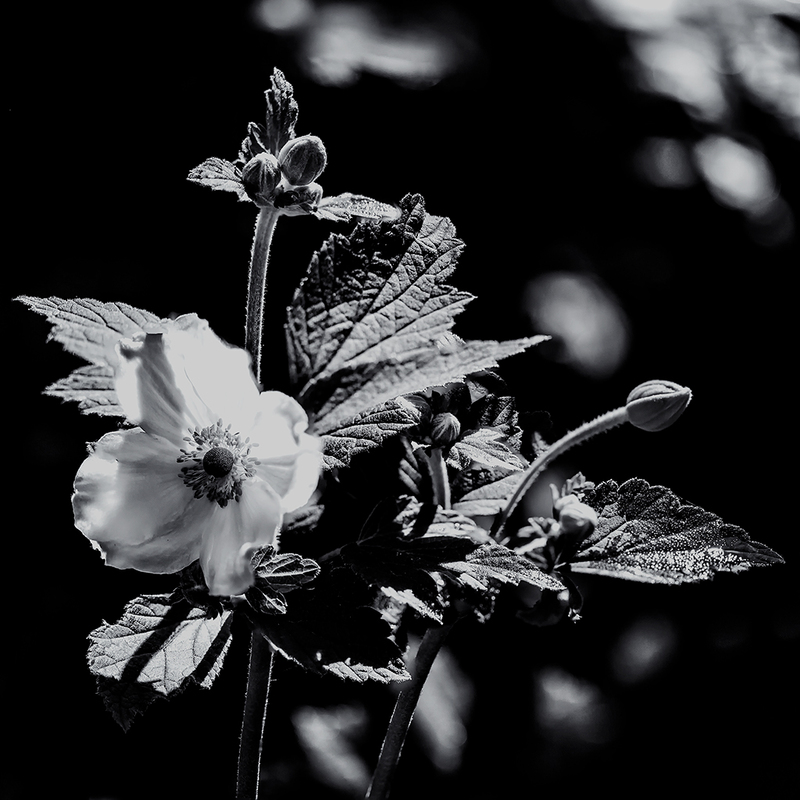 The B&W is a stacked image consisting of 7 shots and the color was purposely shot with a very shallow depth of field in an attempt to capture some sharpness in the edges of the two blooms. Both shot in deep shade. T’was a nice way to spend a birthday morning. Sending love to my twin sister – always been a joy to share our birthdays and our lives. It has been a long learning curve for me to begin to ‘see’ in Black and White. I have found that it takes more that just a simple adjustment in Photoshop to create a solid Black and White image and I have a trash bin full of failures to back up that experience. You can make simple Photoshop adjustments but I find you get mediocre images. 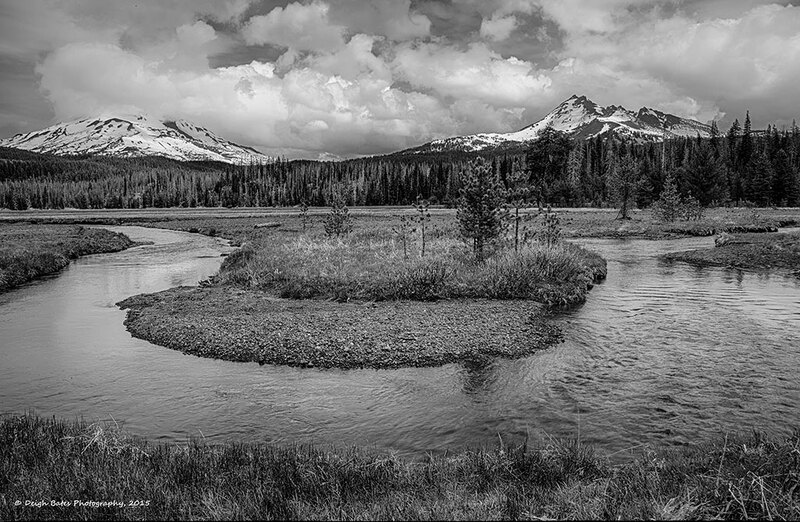 First comes the need to ‘see’ in the field in Black and White – to visualize the final image and then there are the changes and adjustments made in the digital darkroom – lots of time adjusting and creating an image only to then go back days later and review it. (I am assuming you have a calibrated monitor of high quality or else all this is for nought) Then comes the actual printing and that effort is not simply turning on a printer and letting it go – many tries are sometimes necessary and I can assure you that there will be frustrations. 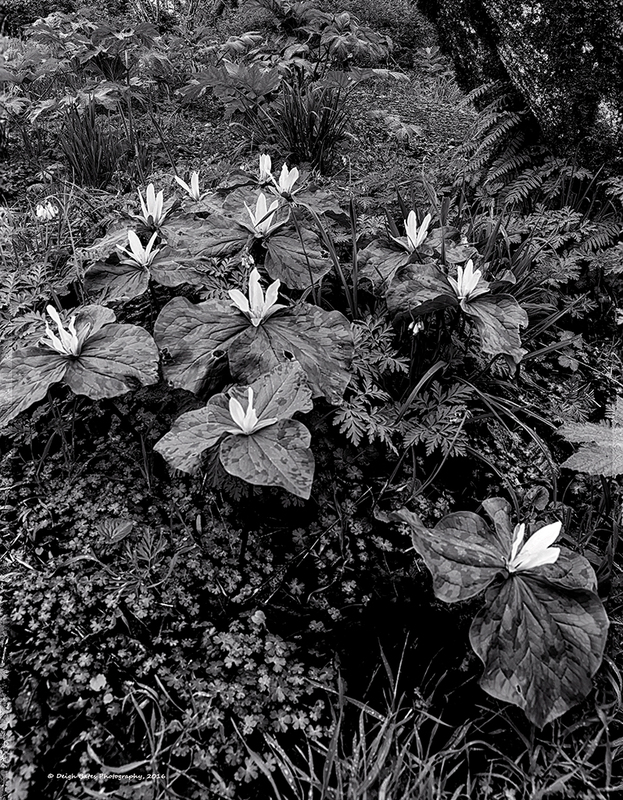 Recently I have been printing B&W images on Hahnemuhle-Harman Gloss Baryta Warmtone paper and I find that it comes as close to traditional wet darkroom prints as I have seen in the digital world – and I have tried a lot of different papers. 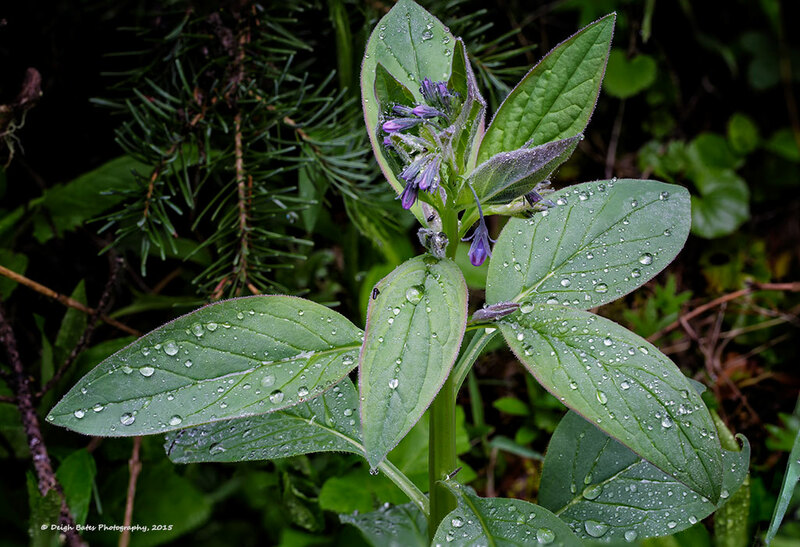 The two images below were from an early morning ramble through the forests along the Coast Fork of the Willamette River in Mt. 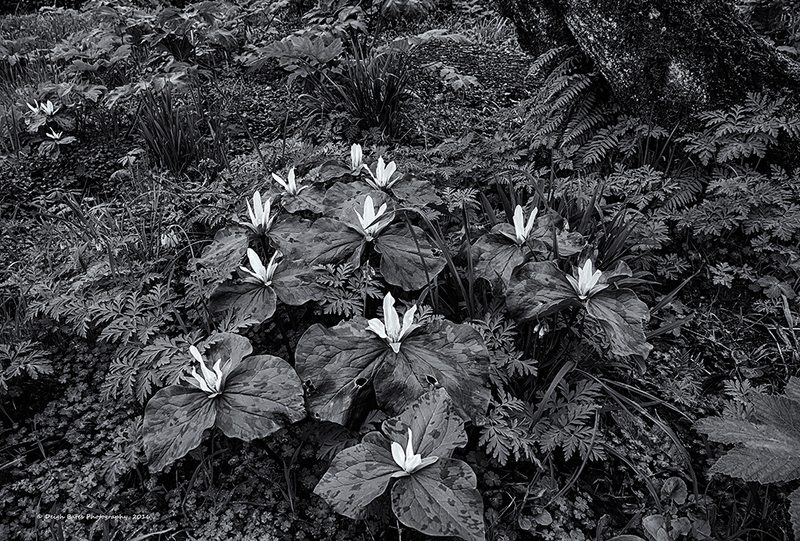 Pisgah park and while they are of the same grouping of trillium they are two very different images and developing and printing them was a completely different experience. To fully experience these prints it would be best to see them in person but lacking that a simple clicking on the images will enlarge them on your screen. I have been wanting/needing to get into the mountains – spending some time with my camera and my thoughts – a mountain meditation. Today just seemed right to go east into the Cascades. 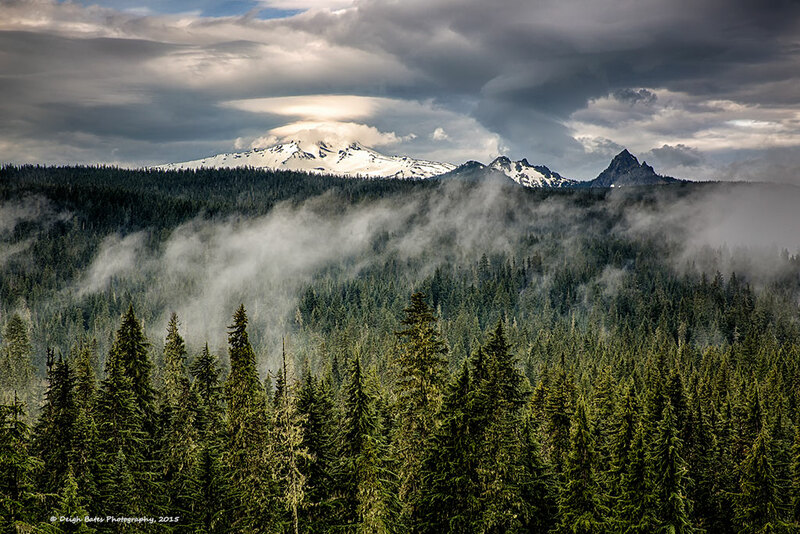 I headed up Willamette Pass this morning with no particular shooting spot in mind but as I drove by what appeared to be a big meadow adjacent to the highway – I have noticed it before and never stopped – I pulled off, parked, changed into my L.L. Bean boots – loaded up the camera and tripod and headed down the hill. NOT EXACTLY a meadow – more like a willow bog – very brushy, very wet and very muddy and I came back to the car with dry feet but soaked and muddy pants. 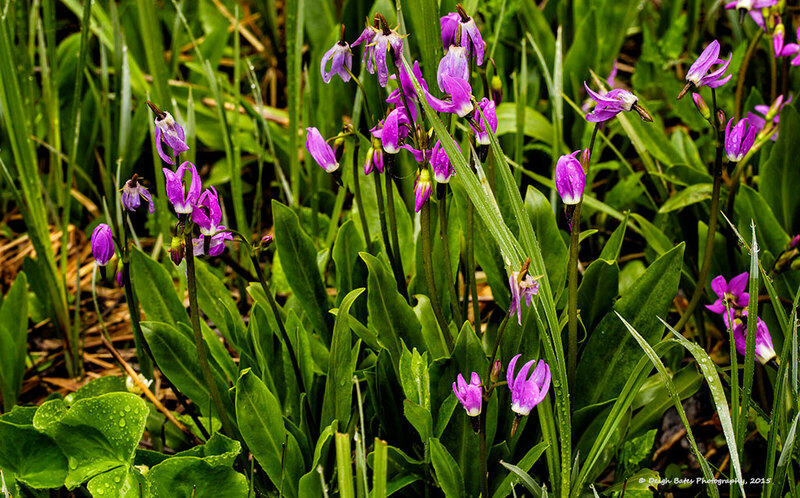 I had no idea what to expect when I forged my way thru the brush but was delighted to find patches of Jeffery Shooting Star – one of my favorite wildflowers. After rootin’ around in the mud for a while I made my way back to the car and along the way came upon what I think is a Penstemon but I am not sure. I was attracted to the leaf pattern and the water droplets. This is a stacked image that I may convert to B&W at some point. Once back on the road I found it hard to get my wet muddy britches into my new car but…. A few miles up the road I came upon a great view of Diamond Peak and Mt. Yoran. Love the lenticular clouds over Diamond Peak. 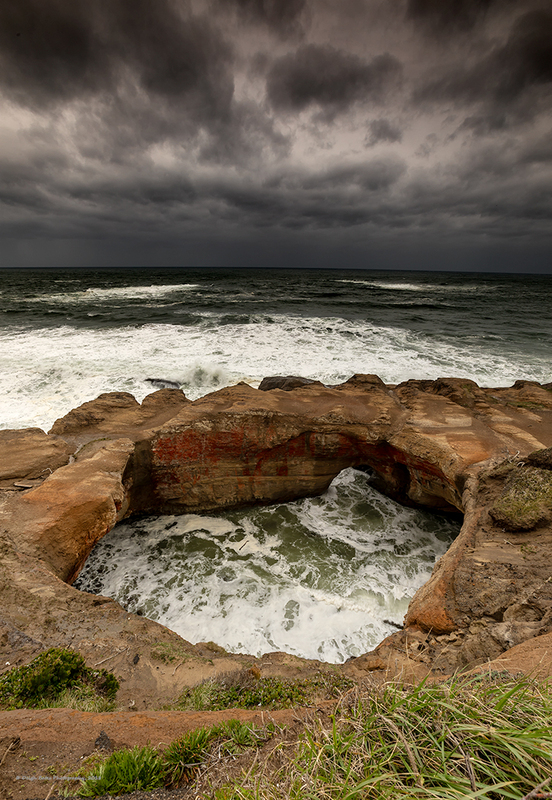 Paula, Dave and I stopped at this location a few years ago on a similar trip – they got images, I got nothing!! I turned off Willamette Pass onto the Cascade Lakes Highway as I understood it was open and made my way up to the Sparks Lake CG area. 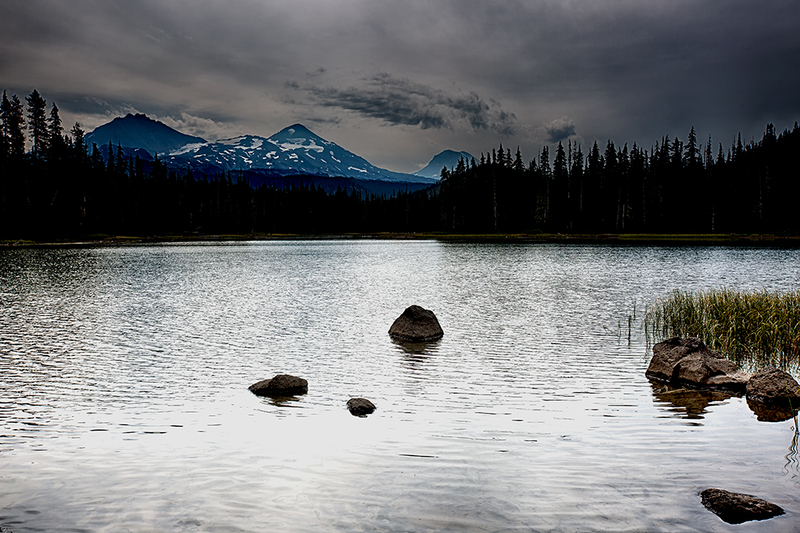 There were beautiful cloud formations over the South Sister and Broken Top and while color is nice for this I intentionally shot with an eye to Black and White. The road is open all the way through and it is a great drive. Also no snow on the road and trail leading to Ray Atkeson Point. It was soul reviving day for me and I much needed it. As always if you click on an image you can get a larger view.